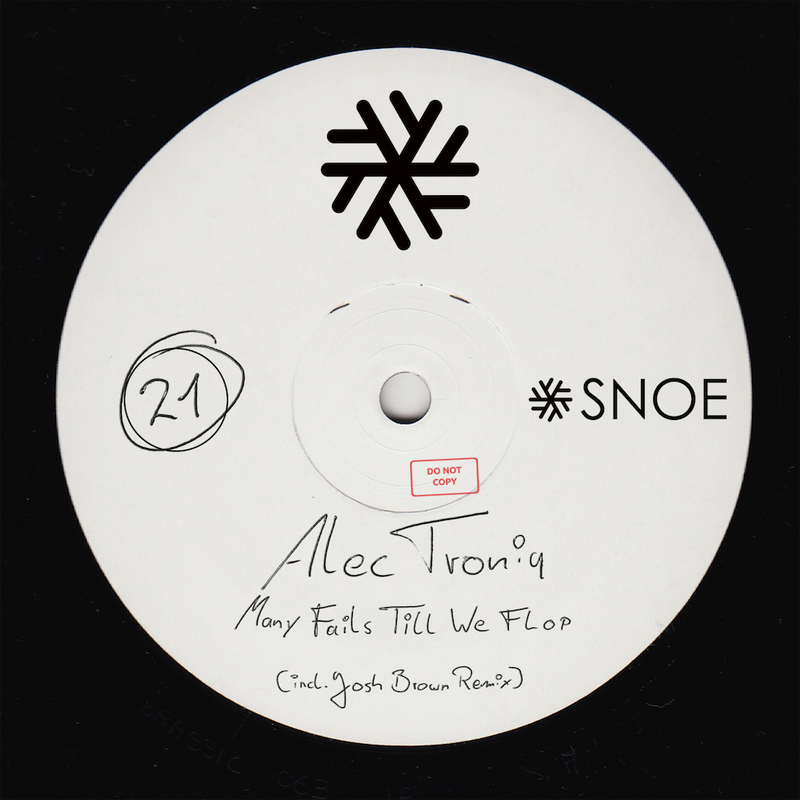 Alec Troniq is back on SNOE with a boundary transcending release. In the two original tracks he stays true to his unique style that combines explosive grooves with gritty synths catching the listeners right from the first beat. “Many Fails” takes the lead with only one direction possibly, forward. The raw synth twists and turns, leaving no room for standing still on the dancefloor. Continuing with the same intensity, “Till We Flop” brings an immensely punchy groove underlined with vocal elements, which are complimented by a strikingly solid drum work. Being a part of the label “This Ain’t Bristol”, Josh Brown is known for his innovative productions, often moving between different genres and in this creating his own. This time Josh joins the SNOE family with his “Till We Flop (Josh Brown’s Keep It Hot Mix)”, a track that truly reflects his roots and adds a proper dose of dirtiness to the release. We are proud to give you SNOE021, our dirtiest delivery so far!